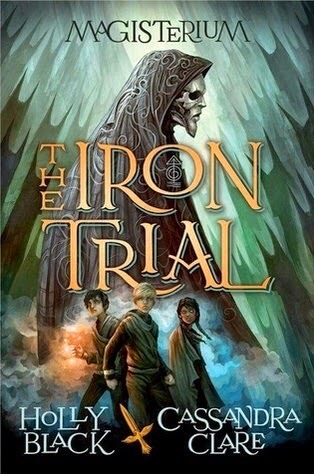 The Iron Trial is the first in a collaborative fantasy series by Holly Black and Cassandra Clare. It was a book I was most excited to read, and I'm so glad I got an ARC so I could read it early (Thanks, Scholastic!). Now, I heard a lot of different opinions from my Goodreads friends who read it early. Many of them thought the similarities to Harry Potter were too stark, and disliked it for that reason. So I was pretty curious about how I would fare when I read this, since I'm a HUGE Harry Potter fan (and a huge Middle Grade fan). Do I think this is a Harry Potter rip-off? NO, I don't. Let me elaborate. In the beginning, I admit, there are definite similarities to Harry Potter. The world is being set up, and we are introduced to a baby with a propensity for evil(?) in the Prologue. Then we see Callum Hunt, the MC, attend the Trials in order to determine if he will go to magic school, known as Magisterium. He tries to purposely fail, convinced by his father that those who learn magic die under the Mages (as his mother did long ago). His mother's death by magic isn't unique though, as half the class lost family members in one war or another. There are three people in each group who study under each Master. In Call's group, it's him and Aaron and a girl named Tamara (who seems like a perfectionist in the beginning). So those are the similarities. And they're all established early on, so I definitely can see where people are coming from. BUT as I kept reading I forgot all about Harry Potter and became immersed in a completely new world indicative of a great middle grade fantasy. I found Call to be a bit annoying. He was likable enough for a main character, but sometimes his attitude was a bit meh. He has a disability in his leg, which was shattered when he was a baby. I actually really respected the fact that we have a main character who isn't the attractive perfect orphaned boy, who is instead a disabled, bitter boy who doesn't even want to learn magic. It was refreshing. I also liked that he had to deal with his disability and even be bullied by it, yet he always acted confident even when he didn't feel it inside. When Tamara and Aaron stood up for him in the lunch room, I admit I got a bit teary eyed. No one had stood up for this boy before, and I could tell that he hadn't really ever had real friends. The dynamic between the three friends was interesting too. I felt like Call's perception of Aaron (the orphaned good looking popular boy) was one we don't see a lot in middle grade books. Call was a bit jealous at times, and sometimes he felt left out. Not only did Call's character develop and grow; but each and every one of the kids had their own character development. Tamara went from perfect little know it all to the biggest rebel of them all. Aaron went from nice guy to the different boy who was put on a pedestal and afraid of the fall down (and his own mortality). Call went from not wanting to make friends or even learn magic to being excited for his future yet dreading his very soul. Even Jasper, the bully, had a lot of depth in that he went from resentful to actively trying to become a better student. I liked that a lot. Besides the amazing characters, I gotta say I loved the setting. The Magisterium is completely underground. Call's father raised him to fear the Master's and the Magisterium. He said you can get lost in the underground tunnels and never come out. He told Call that the Master's don't care about the safety of their students and send students to their death. This added an ominous feeling to the surroundings that I found cool. I sometimes think there's such a fine line between providing an overly descriptive setting, and one that is not descriptive enough. 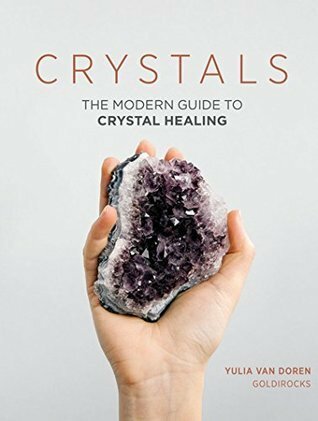 This book had the perfect amount. I had a clear view of what the Magisterium school looked and felt like. It's stalagmites, lakes, and tunnels that lead into the outside world made for a fascinating school setting. Each year has a different name, Call and the rest in their first year are the Iron Years. After the first year they can decide whether they wish to continue or not. At that point they know enough to control their magic so it's not dangerous to themselves and those around them. I'm definitely super excited for the rest of this series. I can't wait to read the next book! I always tend to either LOVE author collaborations (Good Omens: The Nice and Accurate Prophecies of Agnes Nutter, Witch, Just Like Fate) or hate them (which doesn't happen too often since I can't think of an example). To those of you on the fence about reading this due to all the people saying it's a HP knock-off. Don't knock a potential knock-off until you read it. ;) You may find, like I did, that although there were similarities, there were more differences and it made for an excellent read. I think one of my favorite aspects of this book was definitely the ending, it was just so unexpected! I'm so excited for the sequel and I'm so glad that you enjoyed this! I'm really intrigued by this one. I've heard a lot of the same too similar to Harry Potter thoughts, and it has put me on the fence (but more so that I worry I'll be going into probably subconsciously looking for every little similarity and messing my reading of it up). I think I'll wait a while after it comes out and let all the talk die down about it so I can read it with a clear head.